Well, I seem to be blogging only about movie reviews, so much so that the title of the post will soon become redundant and I will not have to find new ways of saying "Here is a post about the movies I have watched" because every other post will be just that. Anyway enough of that. Here are the movies. This movie holds the record for being the one and only Johnny Depp movie that I have disliked. Enough said. I had no clue what this movie was about when I began to watch it, and after I was done watching it, I still have no clue. It seems to be about this bunch of people from LA who sleep around with each other and one of them gets aids. That's it. movie over. This was brilliant. Simon Pegg does a super job. The humour is awesome and I loved this movie. A breath of fresh air after watching a string of bad movies. I was in a mood to experiment and switched to the World Movies section and stumbled upon this Korean movie. This is movie about a chef, his wife and a young chap who comes along to help the chef set-up his restaurant which ends up in a love triangle. Though the movie started off quite nicely, it ended up in a tangled mess which was sad to see. So much scope and so little done. Another Korean movie, this one I absolutely loved. A super plot: A cop who does not earn much, is cheated out of his illegally earned money by a criminal on the run. Time for vendetta, only the criminal is more than a match for our cop and outwits him most times. Cop loses his job and now its personal. He has to catch the criminal and get back his lost job and face. This movie is 2 parts comedy, 1 part action, 1 part thriller and highly recommended! "This is not a love story, this is a story about love" proclaims the tagline, and so it is. This movie follows the love and the life of the Tom and Summer, 500 days of it, in no chronological order. It is a good watch, but it did not wow me. Another romantic movie, this one I liked a lot for some reason. The story line follows a young man who seems strange at first in the way he behaves with the lovely new girl in his apartment complex who seems to be very interested in him. But this is soon explained. The guy has Asperger's Syndrome. But don't worry, this is not a movie about the condition, its a sweet simple movie about love and loss. Let me confess, I am not a big fan of science fiction (as you may have guessed from my post about StarTrek). This movie however, is something else. It shatters all my notions about sci-fi movies by being so different. Yes there is a space ship and yes aliens have landed on Earth. But hold on. America is nowhere mentioned, the crash landing is in Johannesburg, and the aliens the lives of inter-galactic refugees. There is racism (a reference to the Apartheid) and though they have been living here for years in slum-like conditions and they are about to be evicted to the outskirts, away from humans to live like outcasts. The man who is responsible for evicting them, soon starts mutating into one of them in a freak accident and soon starts to see things from their point of view (literally). This is a movie where the aliens are the protagonists and the humans the evil antagonists. You root for the aliens to win. must must must must watch! Super movie about the IRA and conflict in Ireland, based on a true story of a double agent who infiltrated the IRA and helped save 50 lives (hence the title), only to lose his. A movie for children about an Alien invasion by pint sized aliens wrecking havoc in the attic of a holiday home. John Malkovich is the Great Buck Howard, Toms Hanks' son, yes his SON. plays the law school grad who would rather be a Magicians assistant. This is a bitter sweet story about a Magician who is past his "Great" days and is left travelling the country to perform in lesser known towns, but is still hoping to make a comeback. Quite an enjoyable movie but a little bit depressing. This is supposedly a comedy about a family living in 'city island'. But this movie is so warped that I think its a tragedy that it is referred to as a comedy. I have no clue what Andy Garcia was doing in this disaster. 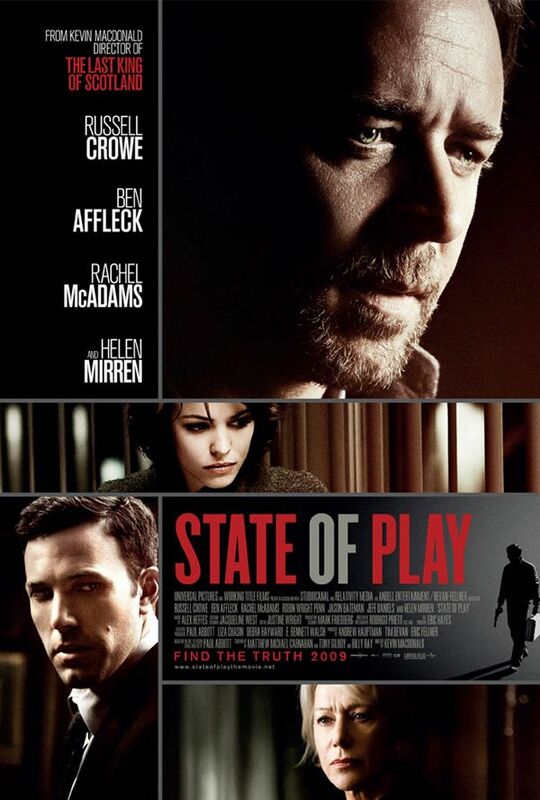 A journalist (Russel Crowe) finds his friend (A successful US Senator, played by Ben Affleck) implicated in a scandal, the so called suicide of his aide who was also his lover. But things are not what they seem like and Crowe and rookie journalist (Rachel McAdams) begin to investigate the web of lies and deceit that lies behind the death of the Congress mans mistress. Leonardo Dicaprio and Kate Winslet star in this pathetic excuse for a movie. This one is real bad. The only thing I found interestig was, how perfectly the melancholy of living in the US is depicted here. Brrr reminds me of the 9 weeks that I had to live in USA. Your comments about City Island are totally ridiculous.Did you actually watch the film? I doubt it. The film is wonderful and funny and Andy Garcia gives a fantastic performance. Perhaps you should watch it again and open your eyes this time. "Did you actually watch the film ?" what is 'Actually'? What is the difference between watching a film and 'actually' watching a film ? Anyway I guess its too much to ask of you. Back to the movie, I think it sucked, you think its the best thing ever. How does it matter in the end? If it really really does to you, then sorry mate go play with someone who agrees to everything you say. Anyway, leaving that aside.... Hilarious reviews. 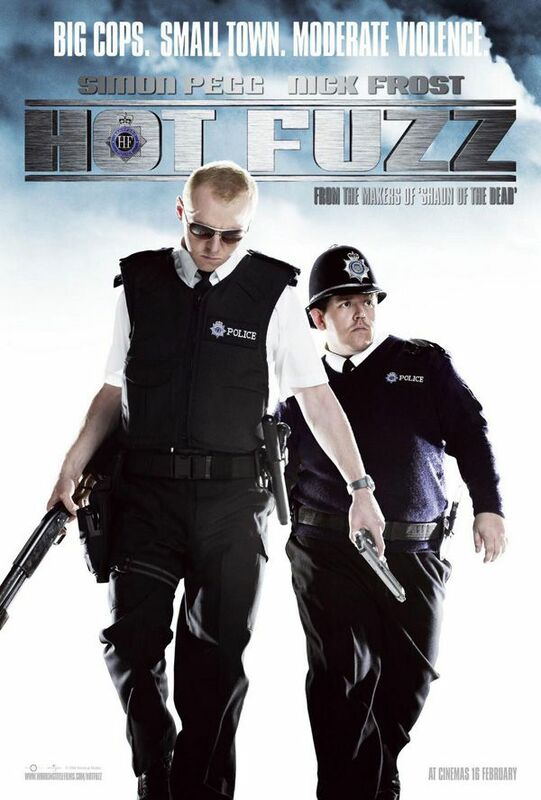 Must download 'Hot Fuzz' then. Also, like you said, 'Adam'. Korean movies are so kickass, ja? Neha ~ Hot Fuzz was so super cool! The same gang also has 'Shaun of the dead' that I want to watch. LBV ~ hahahaha yes yes I love everything that 'anonymous' does!